Removing stubborn eye makeup doesn't have to be a face-reddening chore with this extra-mild but powerful eye makeup remover. Beauty Without Cruelty's Eye Makeup Remover is formulated with pH balanced botanicals that help remove all types of makeup easily. 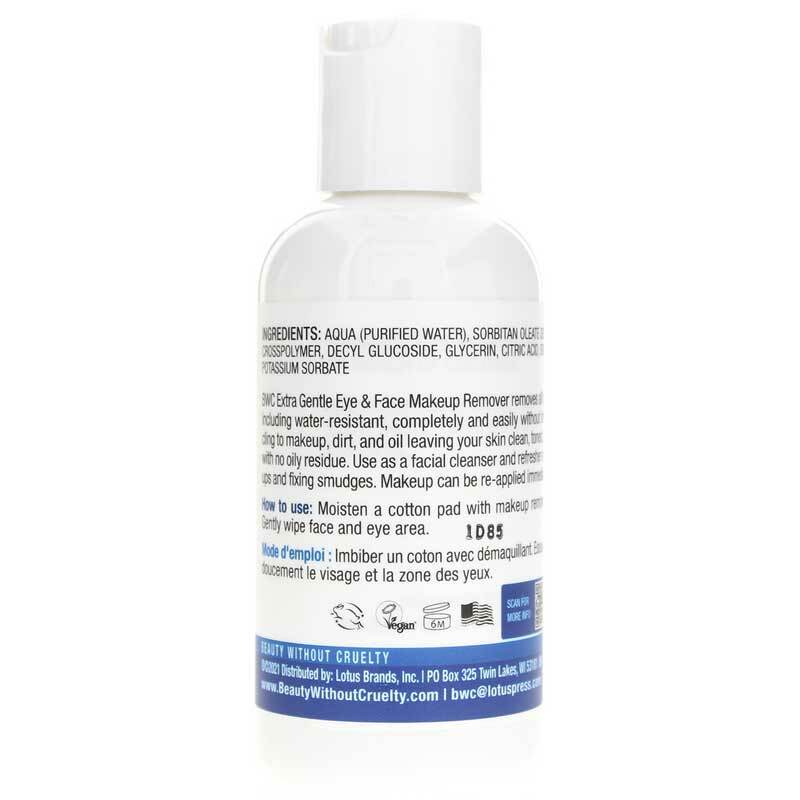 About this Eye Makeup Remover:This makeup remover uses herbal extracts and vegetable glycerin to wash away even water-resistant makeup gently and completely, leaving no oily residue. Makeup can be applied again immediately after use. If you're ready to make the switch from irritating, chemical-laden makeup removers, order this extra gentle, botanically-based eye makeup remover now! Moisten a cotton pad with make-up remover. Gently wipe eye area. Follow with your regular facial cleansing routine. Not Greasy, Doesn't Sting & works well! I really like this - removes mascara & other eye make-up well with no greasy residue. Squirt some on a cotton ball and voila! I like that they don't do animal testing, too.